I could honestly say that a large percentage of Central SUP paddlers are (or were) landlocked surfers – in fact the whole idea of Central SUP was founded on that. 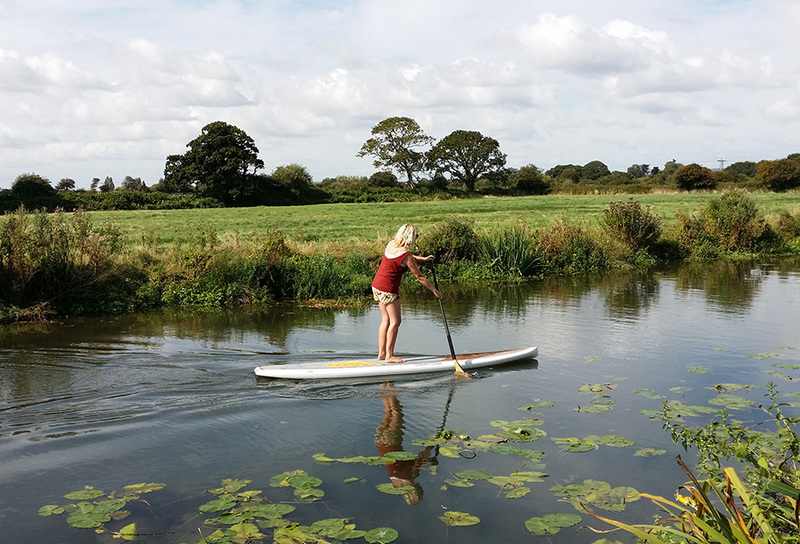 I didn’t have the ocean on my doorstep but paddling a board on a canal was a happy second best. However, like the rest of them, it soon became my first love and my longboard now collects dust in storage. Writing about that inland mentality is what this article is about. Being placed in the heart of the country probably makes me a worthy contender to answer that question. 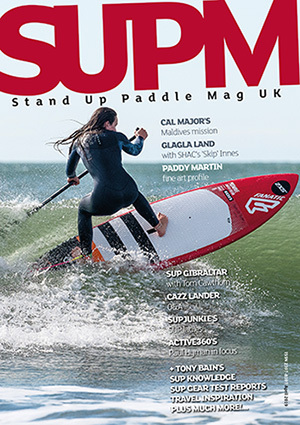 The growth area of SUP seems to be flat-water paddling and the amount of paddle boarders on rivers, lakes and canals of old Blighty has increased lots over the last couple of years. The most common board shapes seem to be the 10/11ft all-rounders and recreation paddling the most popular side of the sport. It’s fair to say that the Inland surfer mentality has evolved; we still like getting into some solid waves but that thirst is quenched more readily now by the accessibility that SUP brings. 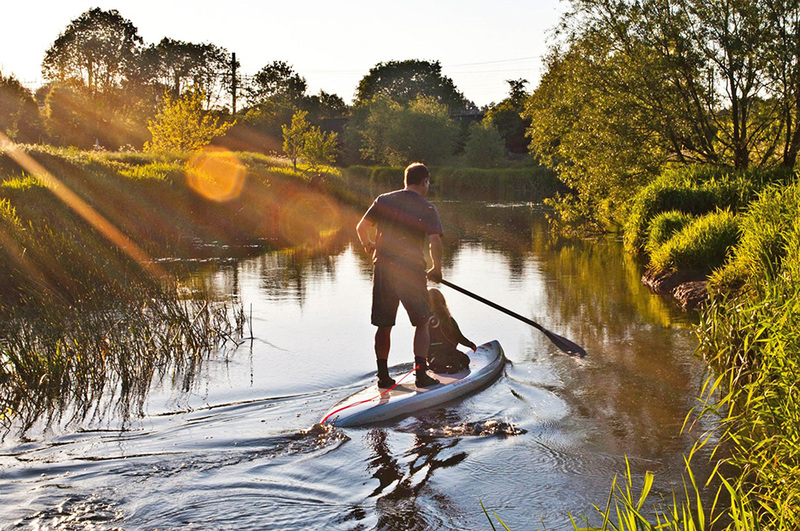 In addition SUP can offer more stability and volume and be a much more effective wave riding machine in very poor conditions, so whereas you may have been struggling with a surf board beforehand, you suddenly find yourself dropping in, holding a paddle and not riding the white water anymore! Being a SUP surfer has certainly progressed my wave riding skills no end – for a start you are on the board on a regular basis, not once in a blue moon, and you can practice turns, paddle skills and weight distribution on flat water. For me, it was like a big sigh of relief once I knew I would not have to drive for at least two and a half hours to my nearest beach to often find the conditions had changed, giving me some brown blown out slop. The one thing I will say for being a land locked surfer is that you go out anyway, as you’ve come so far nothing is going to stop you! Back in the day I would surf everything and anything just because I knew that might be the only time I would get a wave for a couple of months. I would surf in the winter with two wetsuits on, marigolds on my hands to try and keep warm, in some of the worst looking waves you could imagine. The locals would be dumbfounded as to why you would ever want to bother. Of course it made sense to them when they heard a Brummie accent chirping away in dulcet tones as I strolled past them, all smiles. There were many other ways in which we got our fix; skateboards became a firm favourite so that we could carve up the tarmac. Snowboarding was another one as the Tamworth Snow Dome happens to be right on our doorstep, or just plain old watching surf movies and making up stories about the massive waves you got when you were in Cornwall last. None of them would ever make you Kelly Slater of course, but that didn’t really matter. I do think that this land locked mentality has had a huge impact on SUP – I have had countless conversations with individuals who are now full on SUP converts due to that whole initial interest in surfing, the ocean and so forth. 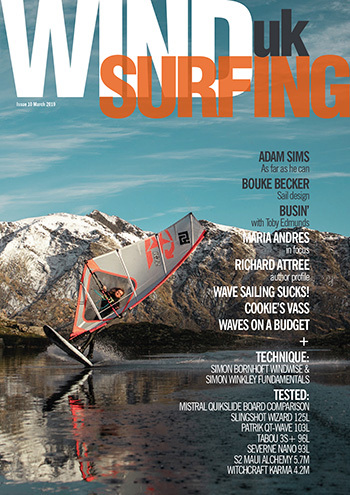 Nowadays we have the advantage of wave and weather apps, the internet and a whole host of predicting tools. You can just look at a webcam and know what the waves are doing. 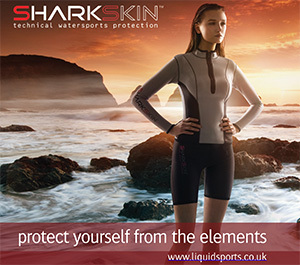 Surfers are no longer coastal beings – many of them live inland and travel to the coast on a regular basis. In fact being centrally based means that we have equal access to all coasts, not just the south. So I would say that is what it is to be a land locked surfer; you are not actually ‘land locked’ at all. The UK is an island after all and the furthest point inland is only 75 odd miles from the coast, so when you look at it that way it’s not really far at all. Mind you with the recent rise in river surfing and of course the new wave pools that are under construction, it seems that getting your fix will be absolutely no trouble at all!